An Ontario elementary school has become the first in Canada to ban Wi-Fi because of health concerns after students complained of feeling sick after the wireless system was installed. Wi-Fi is a very common, widely available wireless networking technology but one place you won't find it is St. Vincent Euphrasia elementary school in Meaford, Ontario. Parents voted to remove and ban Wi-Fi transmitters from the school because of the risk they pose to students, some of whom fell ill not long after they were installed. "After learning the whole story about how risky Wi-Fi is, parents voted to protect their children's health and plug the computers back in with hardwires," said school council member Andrew Couper. "This is something every school council across Canada should be questioning." Couper's breathless concern over "the whole story" notwithstanding, extensive research conducted by the World Health Organization's International EMF Project, launched in 1996, has found that exposure to electromagnetic fields below the recommended ICNIRP limits "do not produce any known adverse health effect." 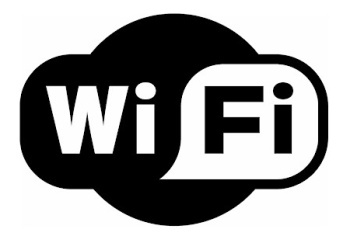 The Health Protection Agency, meanwhile, states, "There is no consistent evidence to date that Wi-Fi and WLANs adversely affect the health of the general population," and that it "sees no reason why Wi-Fi should not continue to be used in schools." Health Canada also addressed the matter with a statement saying, "Wi-Fi is the second most prevalent form of wireless technology next to cell phones. It is widely used across Canada in schools, offices, coffee shops, personal dwellings, as well as countless other locations. Health Canada continues to reassure Canadians that the radiofrequency energy emitted from Wi-Fi equipment is extremely low and is not associated with any health problems." Nonetheless, parents are worried and their concerns are bolstered by a number of high-placed, vocal Wi-Fi critics. Susan Clarke, a former research consultant to the Harvard School of Public Health, said the thinner skulls and smaller brains of children make them more susceptible to absorbing the wavelengths of Wi-Fi signals, while provincial NDP Health Critic France Gelinas added, "Within a few months of Wi-Fi being installed, stories start coming forward with kids complaining about headaches, neurological effects, loss of balance and problems with fine motor skills. There is enough anecdotal evidence from parents that this is worth looking into."